The Mountaineers rotation as them at the top of our poll heading into the midway point of the season. 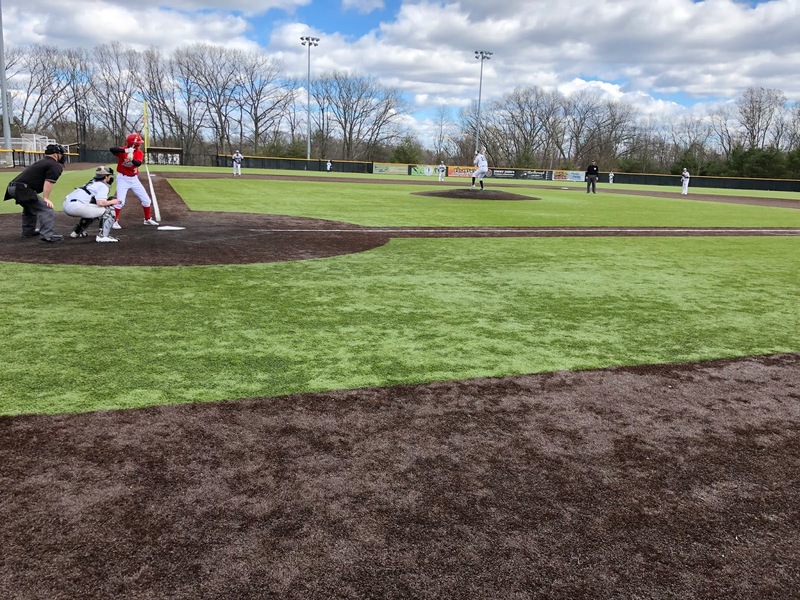 Weather continues to plague the MIAA Baseball season, with many teams only able to get in one or two games this past week. That being said, a number of squads continue to impress in the early going. This week brings a pair of teams to the poll (North Attleboro and Shrewsbury) that are making their first appearance this season while there has been a shakeup at the top. Courtesy of our panel of writers, correspondents, and editors, here is this week's updated MIAA Baseball Top 25 Poll. 2. Central Catholic (7-1; Last Week: 4) Central Catholic continues to prove it’s the team to beat in the Merrimack Valley Conference’s Large Division. The highly anticipated matchup versus Andover was pushed back due to weather, but regardless this still looks like a team bound to be in the final eight. 3. Boston College High (5-2; Last Week: 1) BC High drops from the top spot after falling early in the week to Catholic Conference foe Xavierian. Despite losing MLB Draft Prospect Mike Vasil for the time being due to injury, the Eagles responded well with wins over Malden Catholic and Super Eight contender Newton North. 4. Austin Prep (4-1; Last Week: 6) The Cougars were idle this week because of weather, but sure look like one of the top teams in the Bay State. Highly anticipated matchups fill the remainder of the schedule including against Belmont, Reading, and Peabody. 5. Lexington (5-1; Last Week: 7) The Minuteman went perfect through their first five contests, including a 4-2 win against Belmont and ace Nate Espelin, before falling to Arlington. Tuesday’s bout with Reading is a chance to make an in-league statement. 6. Catholic Memorial (6-3; Last Week: 10) Catholic Memorial responded to consecutive losses with wins over Malden Catholic and red-hot Brookline. With key guys on the sidelines for the time being, the Knights will have to play terrific baseball to survive the second round through the Catholic Conference. 7. Brookline (7-2; Last Week: 8) The Warriors were on a roll before dropping a 3-2 contest to Catholic Memorial on Saturday afternoon. Injuries have plagued them early on, but a fully healthy Warriors' roster has proven to be as dangerous as any team so far this season. 8. Braintree (2-2; Last Week: 2) Still hard to figure out to due to a lack of an ability to consistently play, the Wamps will have to quickly brush off the rust with Needham, Wellesley, and Weymouth on the schedule this week. 9. North Andover (5-1; Last Week: 16) The Scarlet Knights are playing as well as anybody to begin the season with Jake McElroy continuing to showcase his talents as one of the top hitters in the Merrimack Valley. 10. St. John’s Prep (5-3; Last Week: 15) After a bit of a slow start, the Eagles look to be warming up with the weather. They have scored a combined 19 runs the last three games, while Sean Letarte and Garrett Siegel have stepped up on the mound. 11. Newton North (3-3; Last Week: 5) The Tigers appeared to be hitting their stride, but let up a combined 22 runs in losses to Brookline and BC High to set them back to .500. Newton’s pitching staff will have to gather itself quickly with Framingham and Braintree both within the next week. 12. 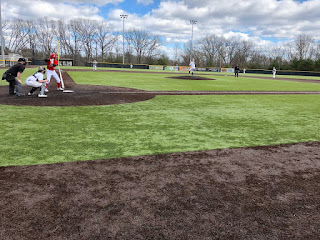 St. John’s Shrewsbury (5-3; Last Week: 9) It will be interesting to see whether the four-run comeback with the Pioneers down to their final out versus St. Peter-Marian on Wednesday is exactly what springboards this young team. 13. Andover (3-1; Last Week: 12) A highly anticipated matchup with Central Catholic this past week was called off due to weather, but the Golden Warriors still impressed with a big 8-1 win over Chelmsford. 14. Plymouth North (7-0; Last Week: 20) The Blue Eagles continue to surge in our rankings as wins over Whitman-Hanson and Sharon improved them to 7-0. Donnie Cohoon, Brendan Ferrell, and Jeff Rodden are forming a nice 1-2-3 atop the rotation. 15. Franklin (7-2; Last Week: 24) The Panthers pitching staff just keeps on rolling. Through nine games, Franklin has allowed just 17 total runs and finds itself atop the Hockomock’s Kelly-Rex Division. 16. Silver Lake (6-1; Last Week: 21) Only one game for the Lakers this past week – a win over Quincy. 17. Danvers (6-1; Last Week: NR) Outside of a loss to Beverly a few weeks back the Falcons have defeated everyone in their way. Justin Roberto started off the week in style with a no-hitter against Winthrop in a 3-0 Falcons win. 19. Minnechaug (6-2; Last Week: 19) Minnechaug continued its strong start to the season, pounding 14 runs in a win over East Longmeadow. 20. Brockton (5-1; Last Week: 20) The Boxers took care of business in their one matchup this week, knocking off Big 3 foe New Bedford. 21. Beverly (6-2; Last Week: 25) Up until a 4-3 loss to Gloucester on Saturday night, Beverly had won six in a row and looked to be the clear favorite in the Northeastern Conference. The loss sets the Panthers back a bit, but they will certainly be right at the top in a race that is sure be exciting all spring long. 22. Walpole (4-2; Last Week: 21) Behind Cam Schlittler, Matt Danato, and Ryan Murphy the Rebels have certainly shown they have the arms to compete with the top dogs in the Bay State Herget. 23. Shrewsbury (4-1; Last Week: NR) The Colonials make their first appearance in our Top 25 poll this season thanks to wins over Leominster and Grafton. A pair of Mid-Wach A rival Wachusett and a road contest versus St. John’s (S) will give the Colonials a chance to prove themselves to the rest of the state. 24. North Attleboro (5-0; Last Week: NR) A new entrant to this week’s poll, North Attleboro has come out firing out of the gate. The Red Rocketeers have outscored their opponents 44-6, but the tests will begin to come this week when they take on Foxboro and Mansfield. 25. Xaverian (5-4; Last Week: 14) The Hawks continued to be one of the more puzzling teams in the Bay State this past week. They started it off by knocking off BC High, 7-3, but came back and took a 9-3 thumping to St. John’s Prep on Thursday. A big week that includes St. John’s Shrewsbury and Plymouth North will give a clearer picture.